Warren E. Lugenbeel Jr., 91, passed away July 28, 2018. 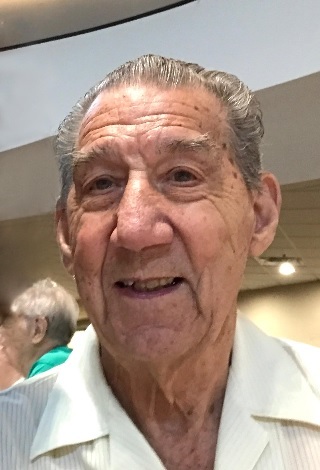 A visitation will be held on Friday, August 3 from 12PM-1PM at Park Lawn Funeral Home, 8251 Hillcrest Rd; burial immediately following at 1pm in Green Lawn Cemetery. Warren was born October 11, 1926, the son of Warren Earl Lugenbeel, Sr. and Ava Happy. He was an avid square dancer for 46 years and ran Westridge Engravers making badges for various square dance organizations and local businesses. He was preceded in death by his wife, Mary Lugenbeel and son Gary Lugenbeel. Survivors include son, Dean Lugenbeel (Rhonda), Pleasant Hill, MO; grandson Franklin Lugenbeel (Michelle), Raytown, MO and grandaughters Kymberly Godsy, Megan Hill and 11 great grandchildren and 2 great great grandchildren. In honor of his late wife, Mary, memorial tributes may be directed to National Alzheimer's Association at alz.org .